Lower Farm Estate terminus, Little Bloxwich. 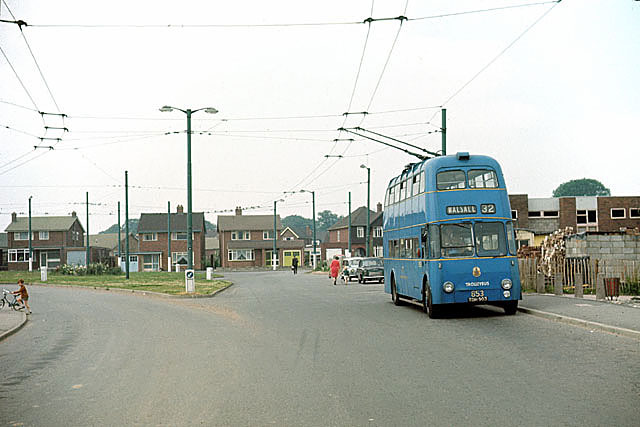 This was the last extension made to the Walsall trolleybus network and was still relatively new at the time the picture was taken. The main change today is that the two houses behind the lighting column have both been enlarged by extensions over their garages. This page has been viewed about 460 times.